Looking "where to sell my Detomaso Pantera L?" Ask the Chicago Car Club! Are you wondering "where to sell my Detomaso Pantera L ?" 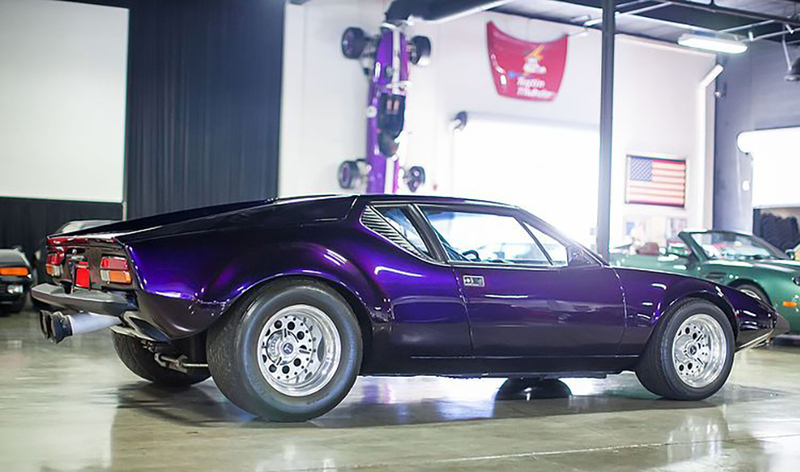 The Chicago Car Club is interested in classic cars of all makes and models, especially a Detomaso Pantera L. We make the process of selling your Detomaso Pantera L quick and painless. In just a matter of hours we will have your classic valued and, if you do so choose, turned into money in your pocket. All it takes is a phone call or electronic inquiry to get the ball rolling. The luxury Pantera L was a 2-door coupe version that was introduced in August 1972 as a “1972 1/2” model. Designed specifically for the American market it featured a large black single front bumper that incorporated a built-in airfoil to help reduce front end lift at high speeds. The “L” model featured factory upgrades and updates that addressed many of the problems encountered by the earlier model Pantera cars. It was so improved that the 1973 DeTomaso Pantera was Road Test Magazine’s “Import Car of the Year,” beating out Ferrari, Maserati, Lamborghini, and Porsche. During 1973 the dashboard was changed, going from two separate pods for the gauges to a unified unit with dials angled towards the driver. The “L” used Ford’s 351 cubic-inch “Cleveland” V-8 engine, connected to the 5-speed ZF transaxle. This produced 310 hp and a top speed of 160 mph (restricted to 140 mph in American models). The “L” could accelerate from 0-60 mph in 5.5 – 6.8 seconds and had a fuel mileage of almost 14 mpg. The “L” had front and rear disc brakes and was fitted with air conditioning as well as concealed headlamps and small rear quarter horizontal vent windows. The car had two luggage spaces – front and rear – and a collapsible spare tire. It used a one-piece hood access in place of the gull-winged design used in the Mangusta. Ford production of the Pantera was phased out by 1974.